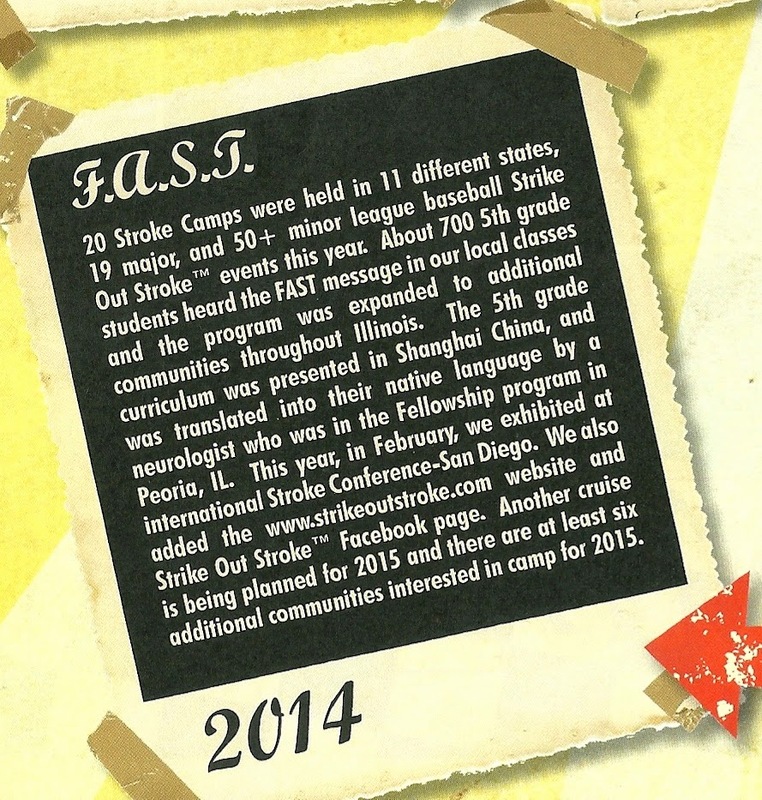 We had a very productive year in 2014, expanding our camp venues and our Strike Out Stroke(tm) events. 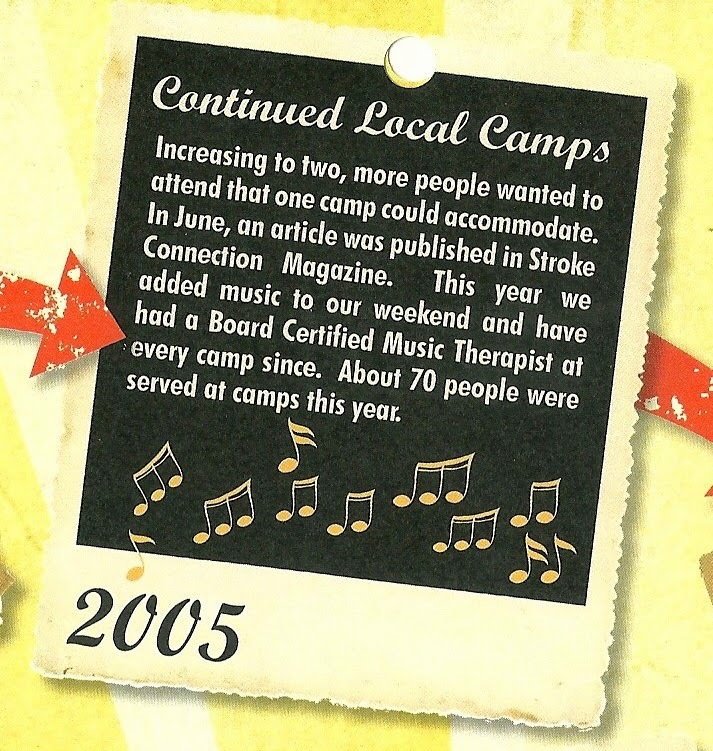 As you can see we celebrated our tenth year of providing camps throughout the country and raising stroke awareness. 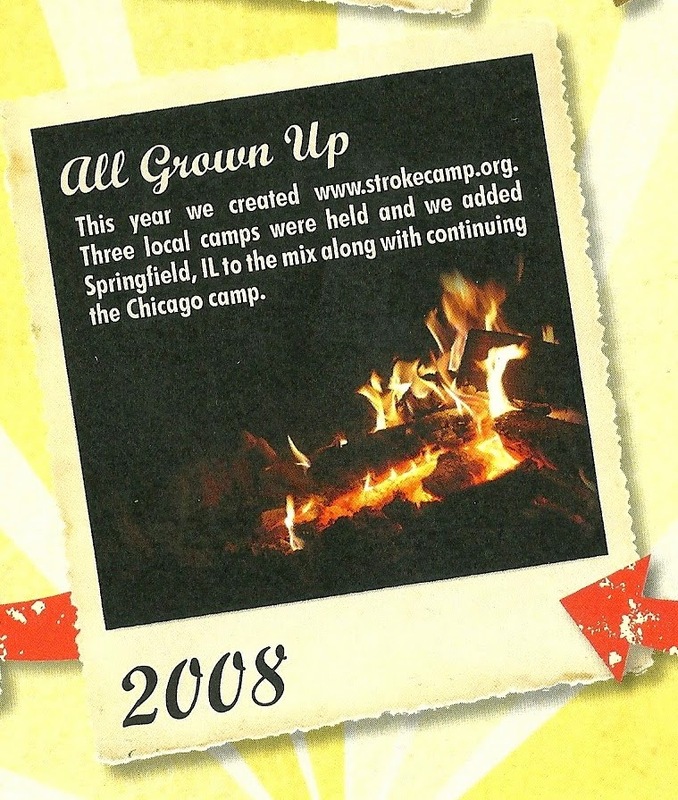 The following photos will take you through our ten year journey. 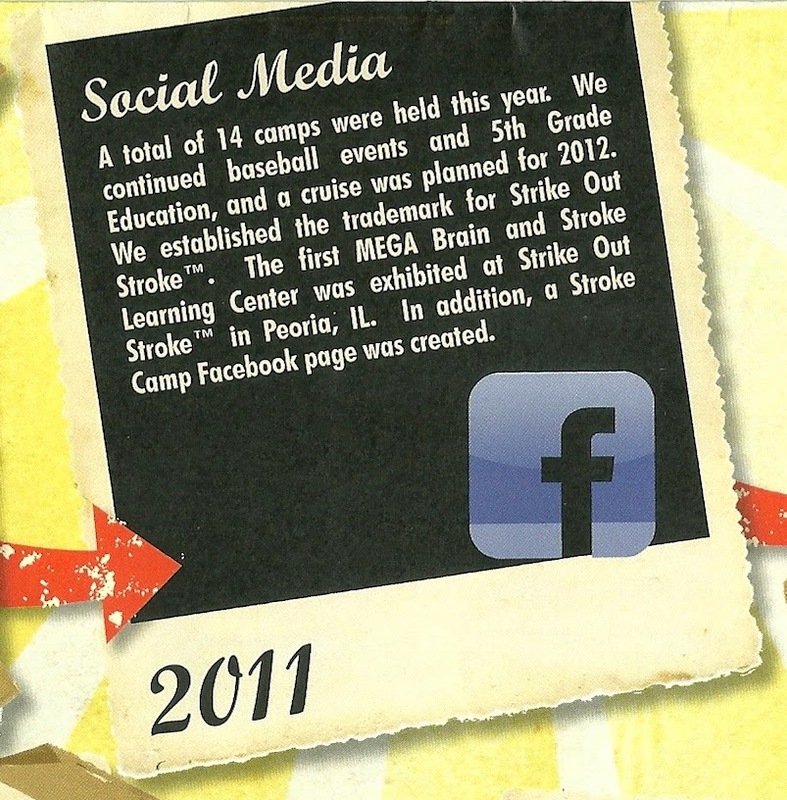 I'll give you time now to catch your breath, rest up, because in 2015 we are expecting 25 camps throughout the country and Strike Out Stroke(tm) events at each of the major league baseball games. 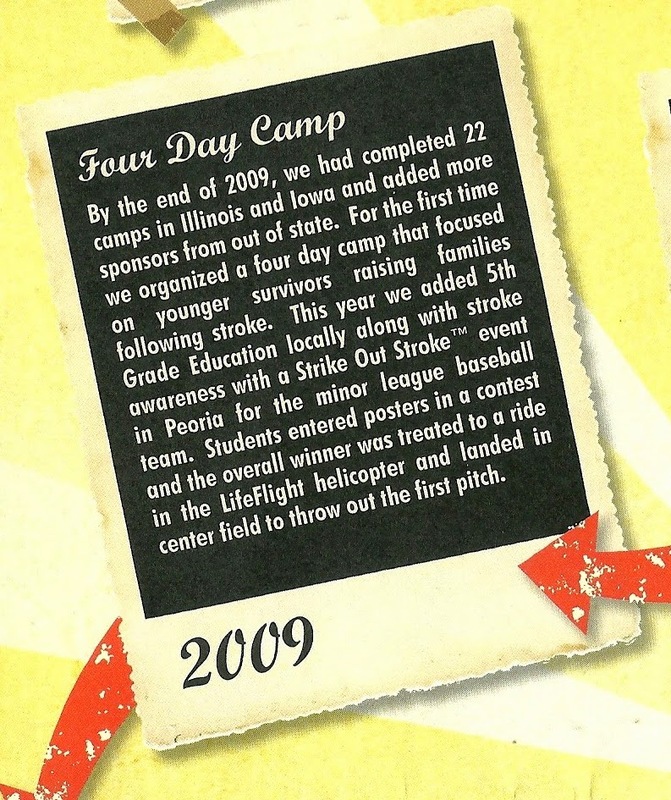 If you are interested in promoting Stroke awareness or in helping out at one of our camps, please contact us at info@strokecamp.org or call our office at 309.688.5450. 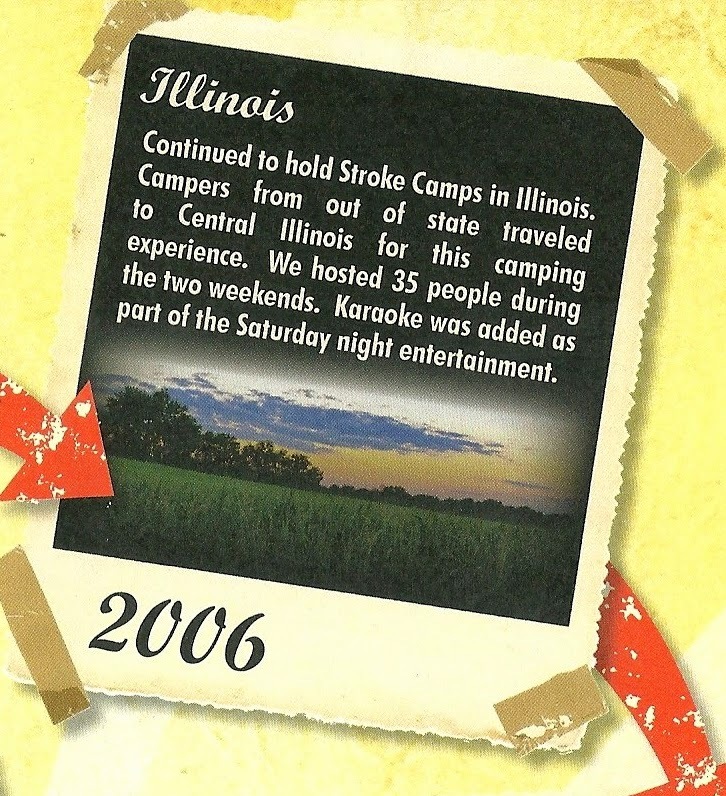 The following article was written by Deb Theriault, a member of the StrokeNet Newsletter staff, and published in their August 2014 Newsletter. If you have not yet visited their site, I urge you to do so as there is a wealth of information and articles on strokes published every month. 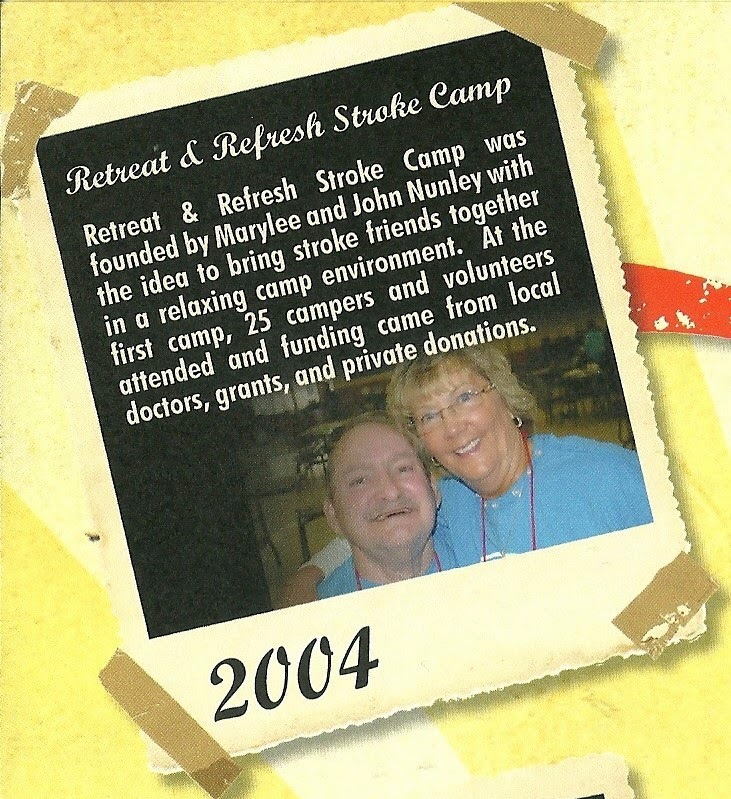 In this article Deb addresses a role she calls Care Partner. As you read this you may see yourself being portrayed. I hope you come away from this with a sense of pride and self-worth knowing that you really do make a difference in someone's life and the support you are providing is also important as that of a Caregiver. You will see as she describes the difference between the roles. StrokeNet Newsletter Editor: "Carers have many roles. Deb suggests that her experience shows that there should be a distinction between Caregivers and Care Partners. Read her article to understand where she is coming from." Back in the 1990’s, I had to do many everyday things for my father, who had developed Parkinson’s disease. I handled all of his paperwork and financial affairs, made sure he went to the doctors and took his medications, was with him whenever he was hospitalized and, ultimately, had to find him a suitable assisted living facility. Once he was there, I then had to communicate with the facility people to make sure that his needs were met. However, I didn’t consider myself a “real” caregiver since I didn’t have to handle my father’s more physically intimate needs. I remember attending a local Parkinson’s support group with an acquaintance whose father also had Parkinson’s. Unlike my friend, I didn’t have to prepare food for my father or feed him, help him with bathing or assist him with his toileting functions, so when the support group had a “caregiver’s recognition day,” I felt like a fraud when I received one of the white carnations that were handed out to the caregivers in attendance. I knew I was devoting a lot of time and energy looking after my father’s many needs, but I didn’t feel like I was in the same “caregiving league” as my friend. Some people may argue that the above duties actually do describe those of a caregiver. 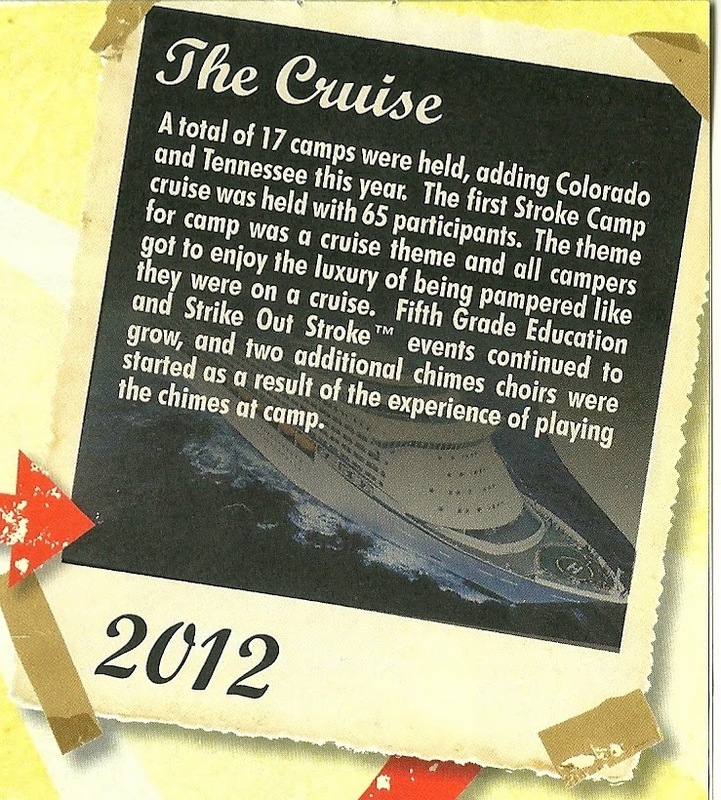 But others would point out that while these activities are a part of the stroke survivor’s total world, they don’t include hands-on activities such as personal hygiene, toileting, and feeding. If they don’t perform these types of duties, many spouses, partners, family members and friends of stroke survivors feel that they’re not “real” caregivers. But, if these thoughtful, giving people aren’t caregivers, then what are they? 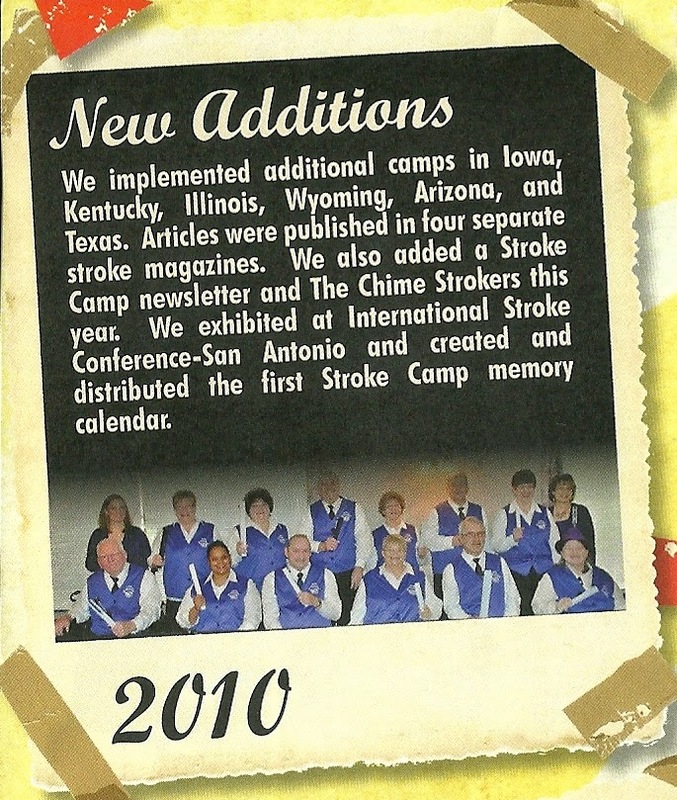 Maybe it’s time to think of these individuals in a different light, and to “re-brand” their role as that of a “care partner,” someone who is deeply invested in the well-being of the stroke survivor, but who performs the less physically intimate tasks that keep the survivor’s life in order and enable them to live more normally. This re-branding won’t be embraced by everyone, but a care partner designation helps to clarify the care partner’s role. It acknowledges that care partners direct and coordinate many aspects of their loved one’s day-to-day activities and care, even if it doesn’t involve feeding, bathing and similar functions. This designation also recognizes that care partnering is just as important as traditional caregiving, and that care partners are just as essential as caregivers, even if their associated tasks are sometimes different. It should be noted that the caregiver and care partner roles often overlap and aren’t necessarily “static.” They can swing back and forth, as the stroke survivor makes progress but then experiences setbacks. However, as the stroke survivor once again becomes more adept and independent, his/her caregiver can transition back into the role of care partner in the survivor’s life. Care partnering can also take place at a distance, as in the case of adult children who coordinate the care of parents who live across the country from them. It’s not truly accurate to describe these individuals as caregivers (since they’re not in close physical proximity to the people they’re caring for), but it’s easy to think of them as care partners since they’re still intensely involved in coordinating, and making decisions about, their parents’ daily care. Most people learn how to be care partners “on the job,” but there’s a lot of information on the internet that can help care partners, and caregivers, to do their jobs better. Much of this info can be found on disease-specific websites, which provide advice to caregivers of people who have those associated illnesses or problems. 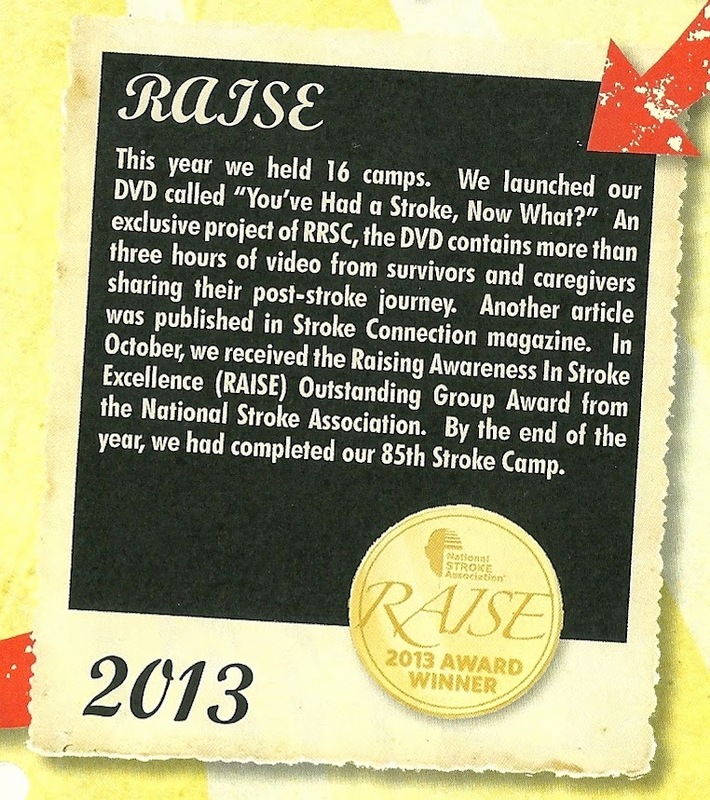 For example, the Stroke Network has a wonderful caregiver’s forum for people who take care of stroke survivors. Additional resources can be found by “Googling” words and phrases such as “care partner”, “care partnering”, “caregiving”, and like terms. Things you should know about a stroke. A stroke is caused by blockage of an artery or blood vessel preventing blood from getting to your brain cells. This blockage causes 1.9 million brain cells to die every minute. No age group is immune from a stroke. Even infants can have a stroke. If not treated immediately, stroke will, among other things, affect your ability to speak, your ability to walk, and even to feed yourself. In general, you will not be able to take care of yourself. Getting immediate help can reduce the severity of these effects. Recovery can take a lifetime. F. (Face) - Does one side of their face droop? A. (Arms) - If they hold their arms straight out in front of them, with eyes closed, does one arm slowly drift down? S. (Speech) - When you ask them to repeat a simple sentence like, "Mary had a little lamb. ", is their speech slurred or sound strange? T. (Time) - Call 911 immediately! Other symptoms are: trouble seeing in one or both eyes, confusion, severe headache, loss of balance and inability to move on one side of the body. Calling 911 is essential because time is critical, and the Emergency Medical Technicians can do a preliminary diagnosis and get a stroke team standing by while they are en-route to the hospital. You have a very limited time to get effective treatment and much of this time is spent in diagnosing the severity and type of your stroke. Certain types of stroke, such as Ischemic, can be effectively treated with a clot busting drug called t-PA. It is an FDA approved drug researched and developed by GENENTECH. t-PA must be administered within three hours of the onset of stroke symptoms to be effective. 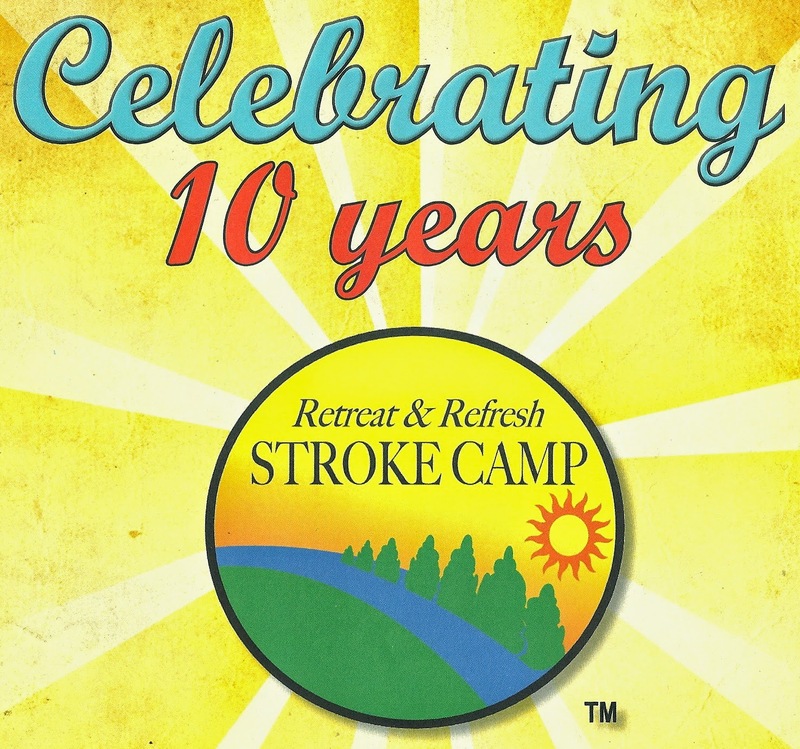 You can reduce your chances of having a stroke. Know your risk factors. They include: high blood pressure, high cholesterol, diabetes, smoking and low physical activity. 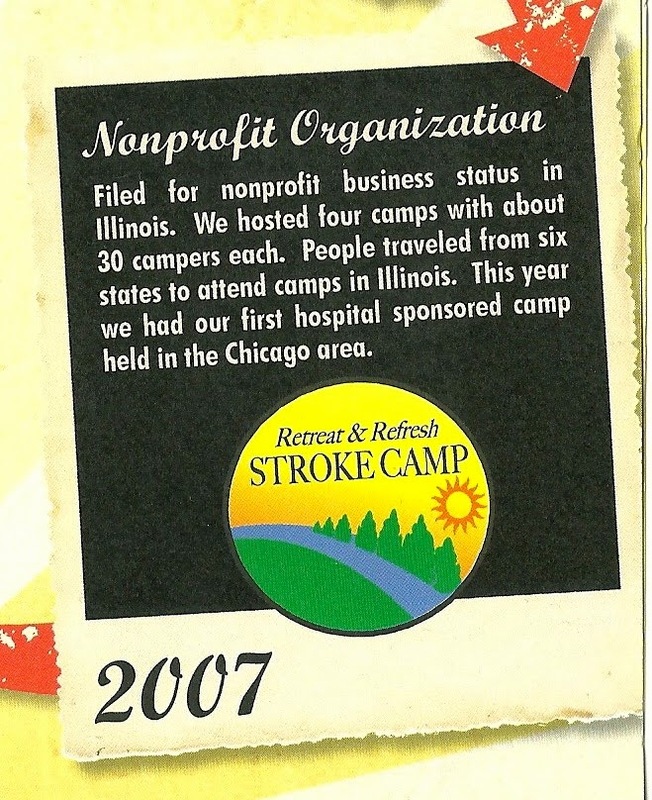 Here is a screen shot from our Retreat & Refresh Stroke Camp Learning Center that we use to promote stroke awareness.